Membership is open to anyone interested in British birds. Become a member today and receive our latest handbook "FREE"
it's packed with 78 pages of useful Information. 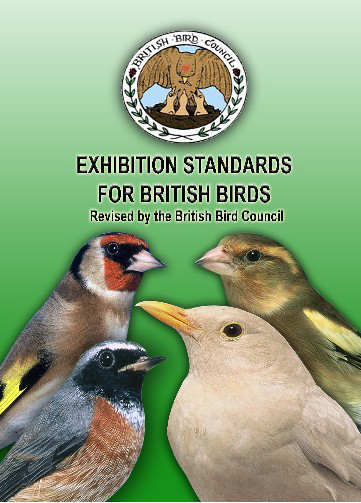 Please Note: In line with the General Data Protection Regulations please be aware that the British Bird Council securely stores data such as name, address, contact details, rings ordered and breeding returns from our members and customers. This data is not shared with any other parties. If members / customers wish for this data to be deleted, then please contact the Bird Council office. Be aware we will be unable to provide membership or supply rings without storing this data. "We previously discussed with you the introduction of a Class Licence to permit the sale of the Northern / Siberian subspecies of Bullfinch and Goldfinch, plus Mealy Redpoll. While this Class Licence remains our aspiration, we have decided not to introduce it at the current time, but rather to give it further consideration. In the meantime it would be helpful to receive further evidence of the welfare issues that had been caused by smaller rings on these speicies (clearly showing the subspecies of bird affected), and also the scale of the problem." 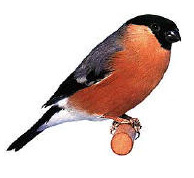 SIZE E (3.10mm) FOR THE NORTHERN/SIBERIAN BULLFINCH Pyrrhula pyrrhula pyrrhula. The BBC is a DEFRA-approved supplier of close rings which can be purchased between 1 January and 31 August each year. Prices start at £3.50 for a minimum order of ten rings per size for members; non-members have to pay £3.00 extra for ring sizes A to T.
ring chart page for more details and downloads page for order forms. The BBC also publishes a number of information and advice leaflets, including one on birdkeeper's legal rights if investigated by the police or other law inforcement agencies.